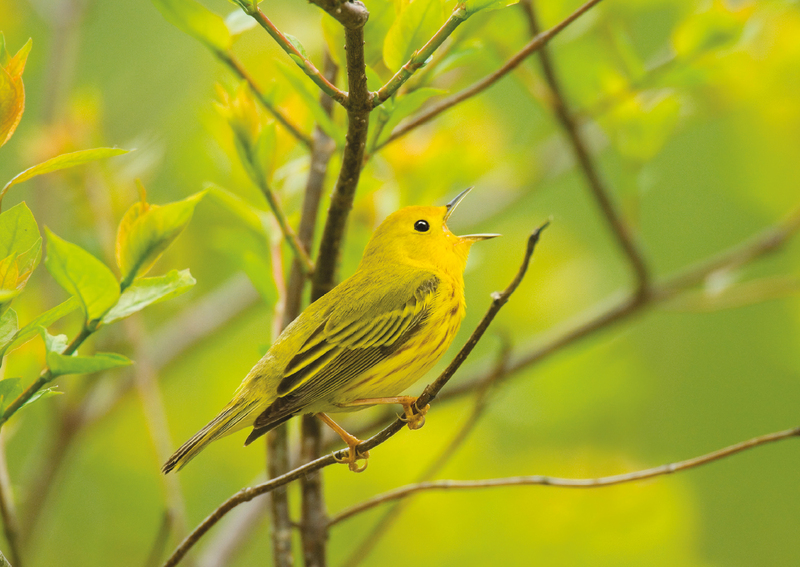 A male Yellow Warbler (Dendroica petechia) has many ways of earning his mate and establishing his area. If a female he wants is in the territory of another male, he may buzz them. To impress her, he may fly away slowly while flapping his wings wildly (the bird version of cruising). To take on another male directly, he sings. Unlike your average a cappella battle, as the competition intensifies the singing gets quieter and the two begin chasing each other. The winner earns the right to mate with the disputed-over female, often for this breeding season and others to come.